“What’s your next race?” “What are you training for?” “Sorry your race didn’t go as planned.” “Are you happy with your result?” So often in our sport, it’s racing – performing at our best on one particular day – that is emphasized. You could be forgiven for thinking that racing is all that matters in the world of ultrarunning. Yes, racing is fun, but doing well in a race is not the be all and end all of ultarunning. It doesn’t seem to be just faster runners who put undue emphasis on race results – I’ve seen many a middle-of-the-pack runner hone in on age group positions, positioning relative to friends and PRs – all aspects that really focus on how fast they ran on one specific day. 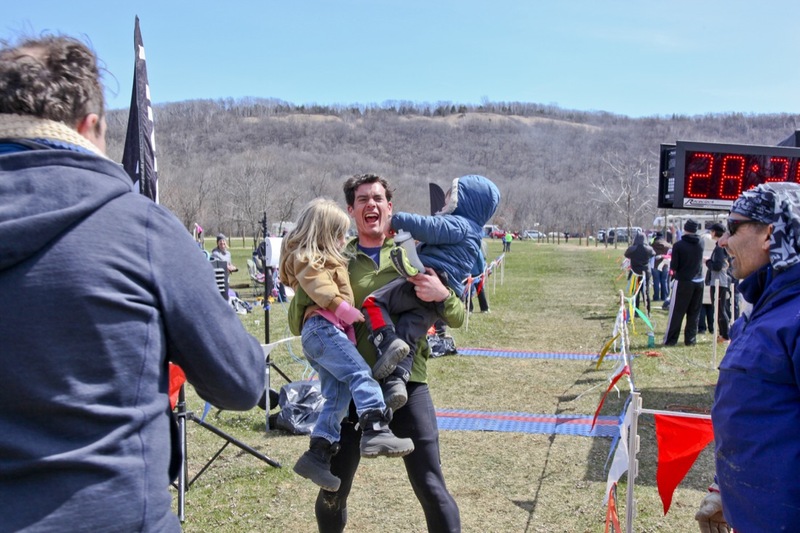 For me, ultrarunning is so much more than my list of race results on Ultrasignup. Whilst I too can get caught up in the overemphasis on race results (good or bad), it is important to take a step back and reflect on your training and overall running over a period of many months and even years. There is nothing worse than becoming so focused on an upcoming race that you remove the joy from your running and it all starts to seem like a chore. Enjoying the whole process of training and preparing for a race is something I really emphasize to my coaching clients – after all, training is 99% of our running. Races are the icing on the cake. Whilst it is good to have tasty icing, it’s more important to have a good cake. Of course, I am realistic. We all have those training runs where we mentally or physically suffer a bit and don’t really enjoy ourselves. As long as those runs are few and far between, then we’re on the right track. Even if I’m training for a road ultra, I might sometimes “treat” myself to a fun technical trail run. Whilst it might not be the most ideal physical training, if it keeps me mentally motivated and enjoying myself, that’s equally as important. There is nothing worse than becoming so focused on an upcoming race that you remove the joy from your running and it all starts to seem like a chore. Yes, if you set yourself an aggressive race goal, then you might have to stick to a bit more of a structured training plan that you have in the past, but there is no need for a training plan to be boring or devoid of fun adventures. Even when training for the World 100K one year, I threw away “training” for a day and went on a 9-hour epic mountain adventure with friends. It definitely wasn’t the best training for road running, but wow, it was a stunning day that refreshed my soul and recharged my batteries, and set me up for another hard block of specific training. Over the years, I’ve seen numerous runners who, in my opinion, have put undue focus on a race. They become totally fixated on doing well at a particular event that they almost feel that they should not enjoy the training, as if in some way suffering through hard training is part and parcel with doing well on race day. This is totally wrong – if a runner doesn’t enjoy their training, then they will get to race day mentally burnt out, having fallen out of love with the sport and having imposed huge pressure on themselves to do well. Conversely, if a runner has enjoyed the bulk of their training, then they will arrive at the start line feeling more relaxed, happier and more confident – all factors which can contribute to a great race result. A prime example of this is doing speed work with friends. What might, on paper, look like a suffer-fest of heart pumping and leg burning work turns into one of my favorite runs of the week as we catch up on each other’s news during the warm up and motivate each other when working the intervals. If we put too much emphasis on race results, then we can be left feeling disappointed and as if we have failed when we miss our time or positioning targets. But if we enjoy the whole journey that gets us to the race destination, then it can be a much easier pill to swallow if a race doesn’t go to plan. Yes – a sub-par race performance will always be disappointing, but if we’ve explored new trails along the way, achieved the satisfaction of fast times in interval sessions, learnt new things about ourselves and met up with new friends to train with, then the whole process seems a rewarding and satisfying process rather than a failure, which it certainly isn’t. Next Article John Vanderpot: The Anthony Bourdain of Los Pinos 50K?